The PTFE Labret Stem is the ultimate basic! 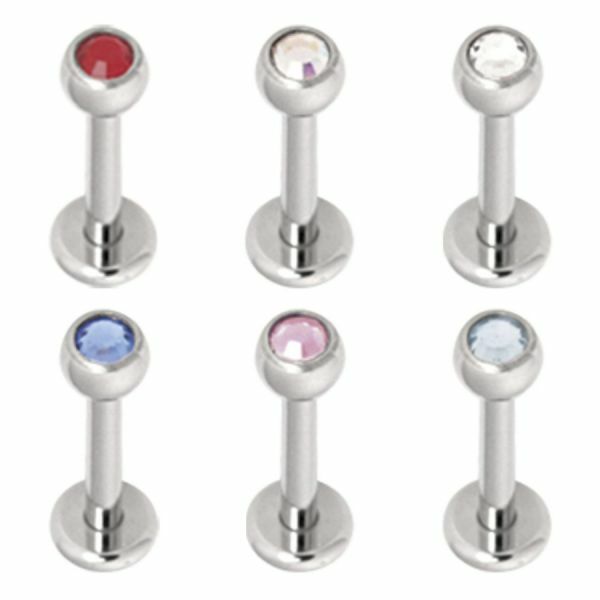 You can choose exactly those balls and attachments from our huge assortment, that fit your style! The material is especially skin and dental enamel friendly! The stem is available in a strength of 1.2 mm and with a length of 15.0 mm. In a strength of 1.6 mm its length is 17.0 mm. The stems lower end is shaped like a flattened disc, the upper end is not threaded! You can customise length and thread with a threading tool, so you get exactly those sizes you wish. The material can be autoclaved without any problems. Incredibly quick delivery and product was exactly as described and just what I wanted!